Leather sneakers are always nice — very nice in some cases — but now, nylon is the hot new footwear fabric, according to Greats, the maker of some of our favorite kicks in the game. The brand has just launched The Royale Ripstop, a riff off their classic Royale shoe, in four colorways for women and three for men. The Royale Ripstop is made from reliable, water-resistant ripstop nylon, making them perfect for precipitation-prone spring days. Of course, Greats’ famed supple leather still makes an appearance in the shoe; the sneaker boasts a leather and mesh lining for ultimate breathability (and thus, socks are optional). Plus, 3M reflective accents adorn the laces and upper of the Royale Ripstop, which all sits atop that classic rubber sole you know and love from Greats. 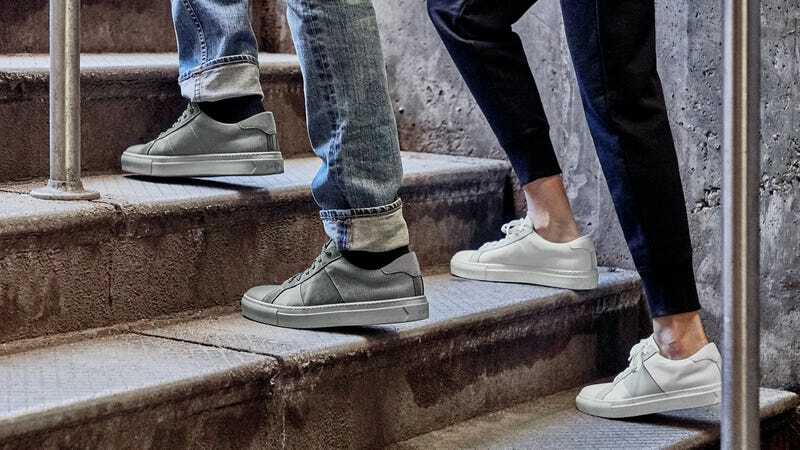 Ladies can snag the Royale Ripstop in taupe, blush, sky, and white — all very seasonally appropriate — while the guys can embrace the nylon sneaker trend in black, grey, and cargo. No matter which color you opt for, they’re sure to put a spring in your step this spring.